Greetings from Rome! On behalf of your Cardinals in Rome, I can say that we are having an absolutely fantastic time here. I must admit, though, many of us do miss the ambiance of Mass in St. Vinny’s, the coziness of the House, and the solitude of the Basilica. There is something special about being surrounded by hundreds of Catholics from across the country, back home on campus. But you know what is even cooler than that? Thousands of Catholics from across the world! 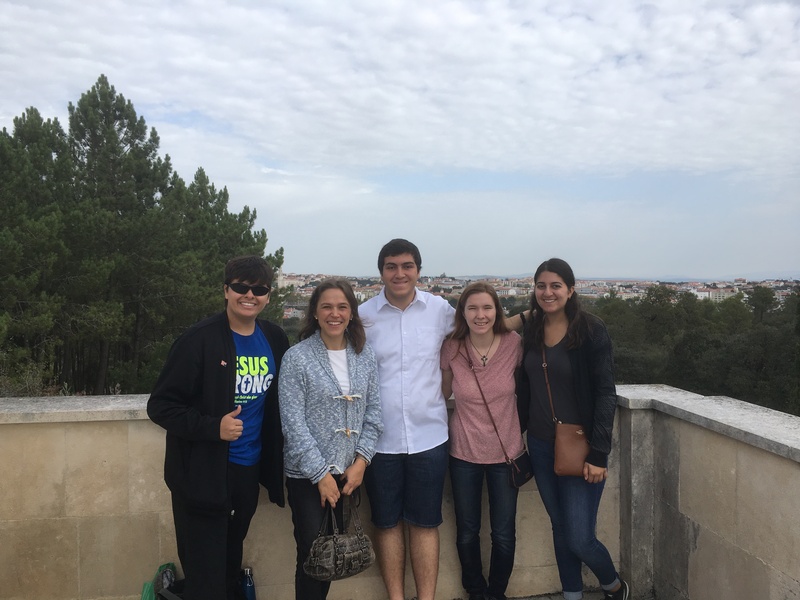 This past weekend, on October 13th, three fellow sophomores and I attended the centennial anniversary of Our Lady of Fatima in Portugal. Fatima is a humble Portuguese village in which Mary appeared in, performing dozens of miracles and begging humanity to remember to pray the Rosary for world peace. The ceremonies surrounding the event were epic. Catholics from every country prayed together. The remarkable thing is that no matter where we came from, or what language we spoke, we all understood one another, as the Catholic Mass is the same everywhere you go in the world. Another remarkable aspect of this occasion is the procession of the statue of Fatima. This precious sculpture of Mary was designed to the exact specifications of witnesses who saw her in Fatima. Every year, dozens of reports flood in regarding miracles associated with the statue, to the point where many claim that the statue contains Mary’s true essence. As I scrambled to the front row to see the statue for myself, thousands of surrounding crowd members sang to our Blessed Mother as she processed through the crowd. The expression on the statue of Mary is said to have the ability to bring audiences to tears. Staring into her sorrowful expression, I felt Mary touch my heart as her message from one hundred years ago echoed even stronger today. There is still much work to be done for unity in the world. As a politics major, that message especially resonated with me. This truly has been the trip of a lifetime. And there is so much more to explore! Studying abroad in Rome, we’ve received opportunities to visit Assisi, Venice, Tuscany, and many countries outside of Italy. Soon, during Fall break, many of us will be travelling to locations, such as France, England, Germany, and many more! If you’d like to keep up with our activities, my YouTube channel is“DefenderofFaith01.” Mary is watching over us every day. Let us return the favor and remember to pray the rosary together!